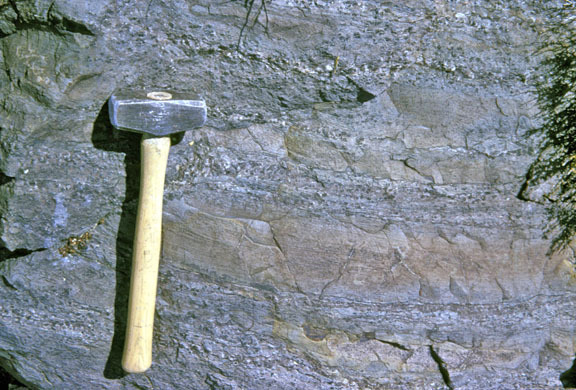 Left: Middle Poleta Formation quartz-muscovite-bioitite hornfels, east half of Papoose Flat pluton, south contact, near Side Hill Spring. ©A.G. Sylvester, 1964. 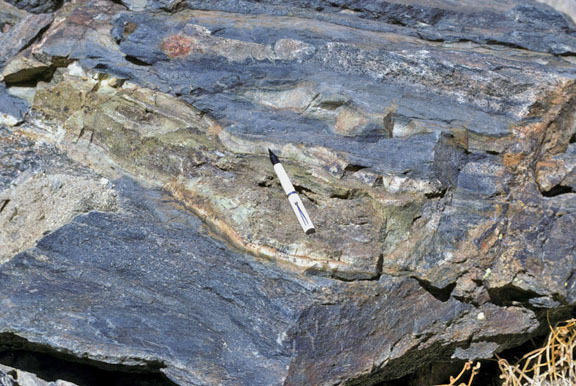 Right: Dark gray Campito Formation quartz-muscovite-biotite-andalusite hornfels interlayered with brown quartzite, east end of Papoose Flat pluton. ©A.G. Sylvester, 1963. 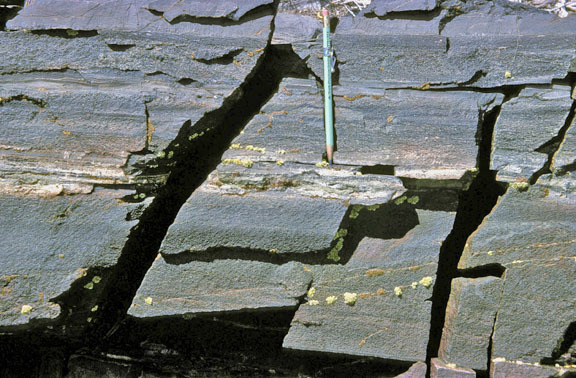 Layer of calc-silicate hornfels, consisting chiefly of andradite garnet, epidote, vesuvianite, quartz, and calcite, interlayered with quartz-muscovite-bioitite hornfels, east end of Papoose Flat pluton. ©A.G. Sylvester, 1981.